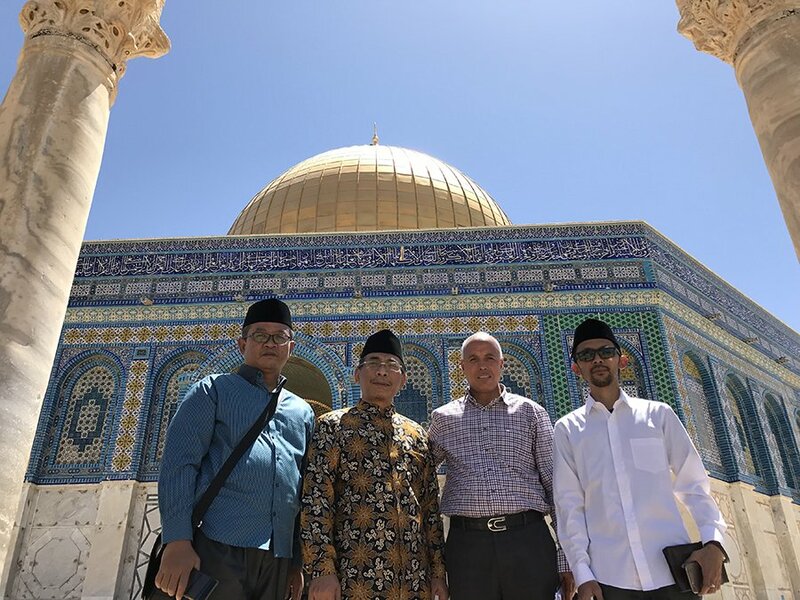 JERUSALEM, the spiritual heart of Judaism, Christianity and Islam: Following a high-profile visit to the United States in May of 2018—which entailed substantive meetings with VPOTUS and other senior U.S. government officials—the General Secretary of the world’s largest Muslim organization, Indonesia’s Nahdlatul Ulama (NU), elicited widespread praise and a firestorm of controversy by visiting Jerusalem from 9 – 15 June 2018, where he delivered a message of rahmah (universal love and compassion) in a series of public speeches and meetings with senior Israeli officials including Prime Minister Benjamin Netanyahu and President Reuven Rivlin. 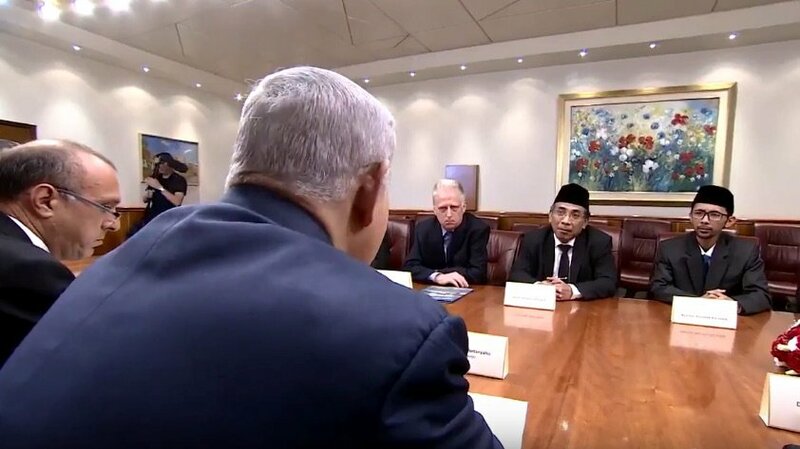 Kyai Haji Yahya Cholil Staquf was accompanied by leaders of Gerakan Pemuda Ansor, the NU’s 5-million-member young adults organization, including KH. Aunullah Ala Habib, a member of Ansor’s Central Board; KH. Achmad Nadhif Mudjib, who heads the training of Ansor cadres; and C. Holland Taylor, Ansor’s Emissary to the UN, Americas and Europe. 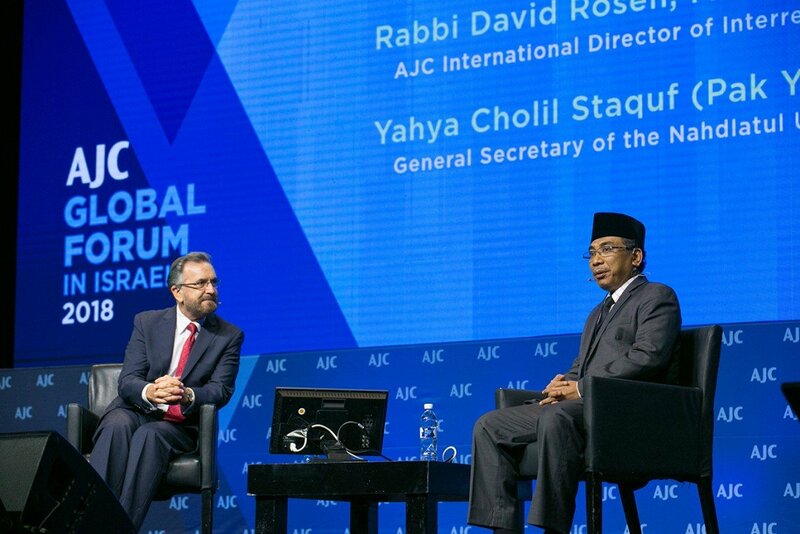 Speaking at the American Jewish Committee’s Global Forum in Jerusalem, Mr. Staquf’s call for “compassion” between Muslims and Jews was met with a standing ovation by 2,400 AJC participants from over 50 nations. 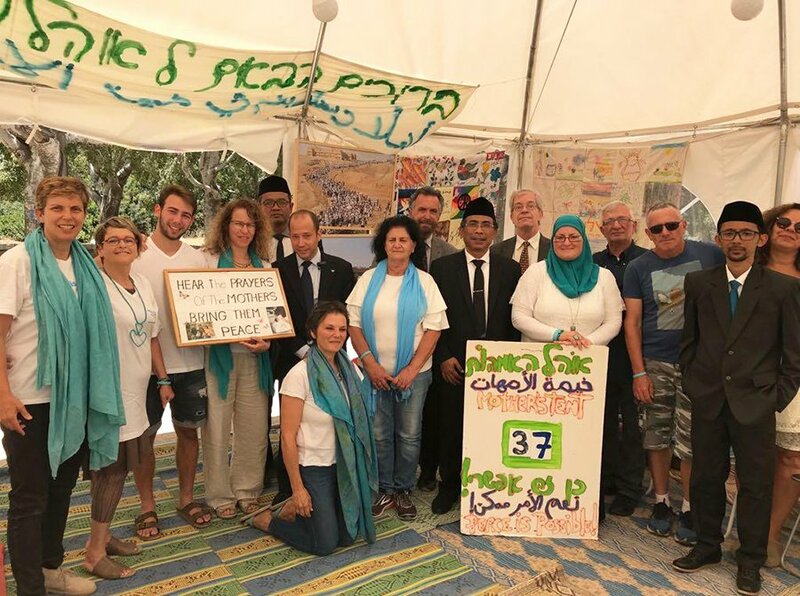 Mr. Staquf also addressed the Truman Institute for the Advancement of Peace at Hebrew University (“Islam Without Violence: an Indonesian Perspective on the Israeli – Palestinian Conflict”); the Israel Council on Foreign Relations (“Shifting the Geopolitical Calculus: from Conflict to Cooperation”); performed pilgrimage to al-Aqsa Mosque and the Dome of the Rock; and met privately with a number of Palestinian figures including Mohammed Dajani Daoudi, founder of the Wasatia Movement, who responded sharply to Hamas and Fatah condemnation of Mr. Staquf’s visit by asking, “Why do we not embrace this visit and consider it a step towards peace, reconciliation, rapprochement and dialogue between religions at a time we are in urgent need of a glimmer of hope?” (al-Monitor). Members of the Indonesian delegation also met with a wide range of civil society organizations and religious figures including Rabbi David Rosen, AJC’s International Director of Interreligious Affairs; Rabbi Shmuel Rabinovich, Chief Rabbi of the Western Wall and the Holy Sites of Jerusalem; Rabbi Alon Goshen-Gottstein, head of the Elijah Interfaith Institute; Teofilos III, the Eastern Orthodox Patriarch of Jerusalem; Archbishop Pizzaballa of the Latin Patriarchate of Jerusalem; Reverend Wolfgang Schmidt, head of the Lutheran Church in Jerusalem; and Women Wage Peace, which unites Israeli and Palestinian women in efforts to secure peace and reconciliation. 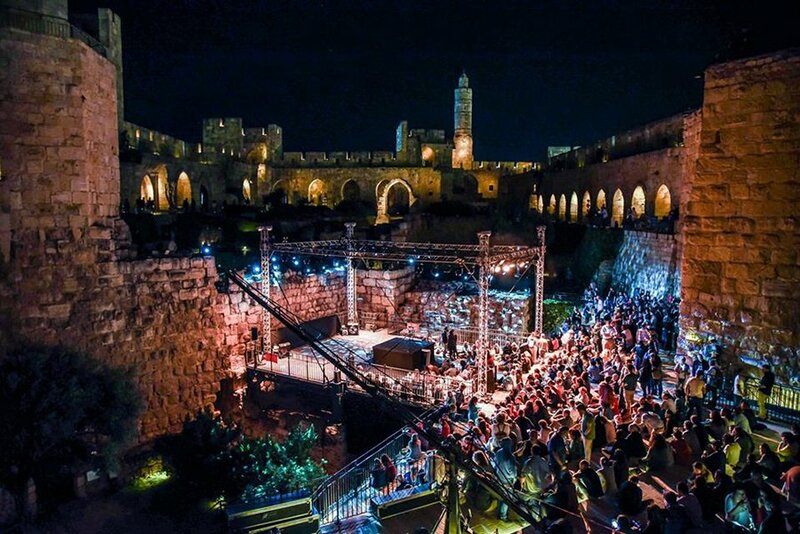 At midnight on the final day of Ramadan—and in honor of the General Secretary’s visit to Jerusalem—Koolulam, the Tower of David Museum and Jerusalem.com invited more than 1,000 Israelis and Palestinians—Jews, Muslims and Christians—to sing together to celebrate the message of universal love and compassion and produce a music video that commemorates Shaykh Yahya’s historic visit to Jerusalem.